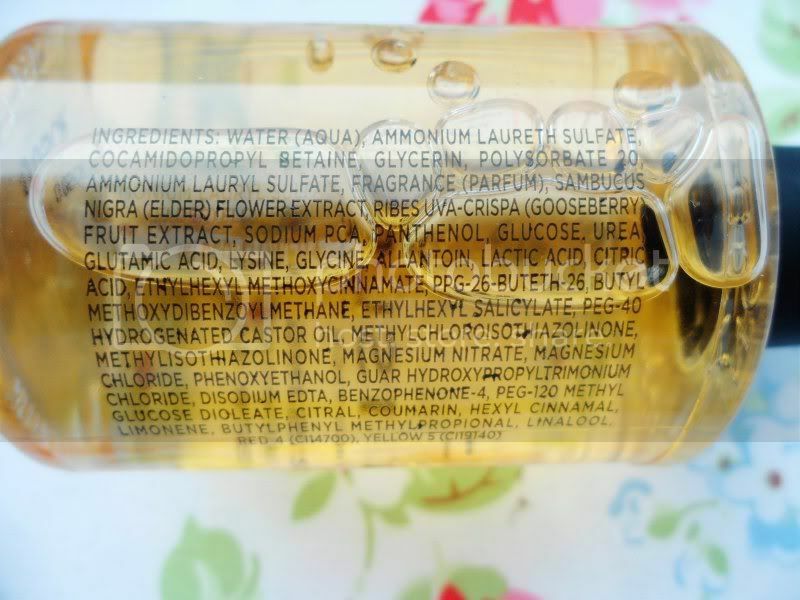 When it comes to body washes and shower gels, they're usually unwanted products come Christmas time or birthdays. 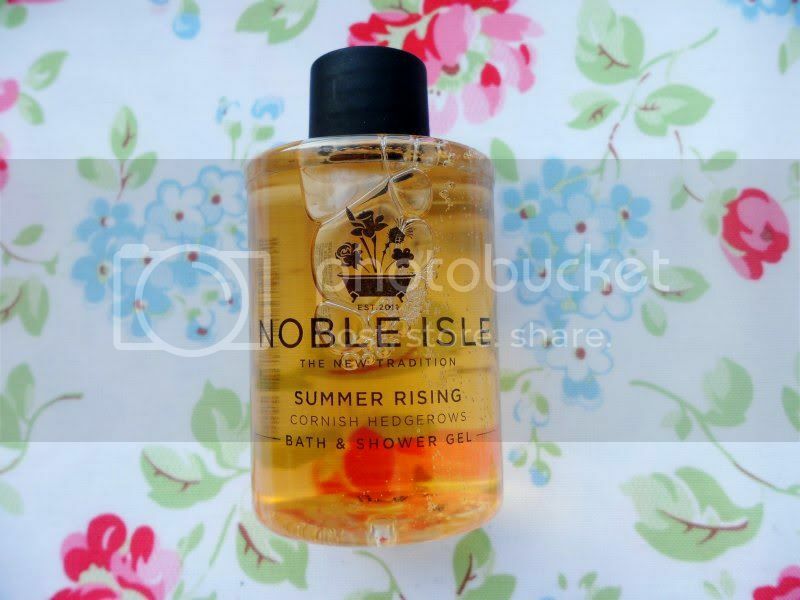 At first, I wasn't overly enthused when I spotted this Noble Isle shower gel in my May Glossybox, however once I read the description and smelt the fragrance, I changed my mind. 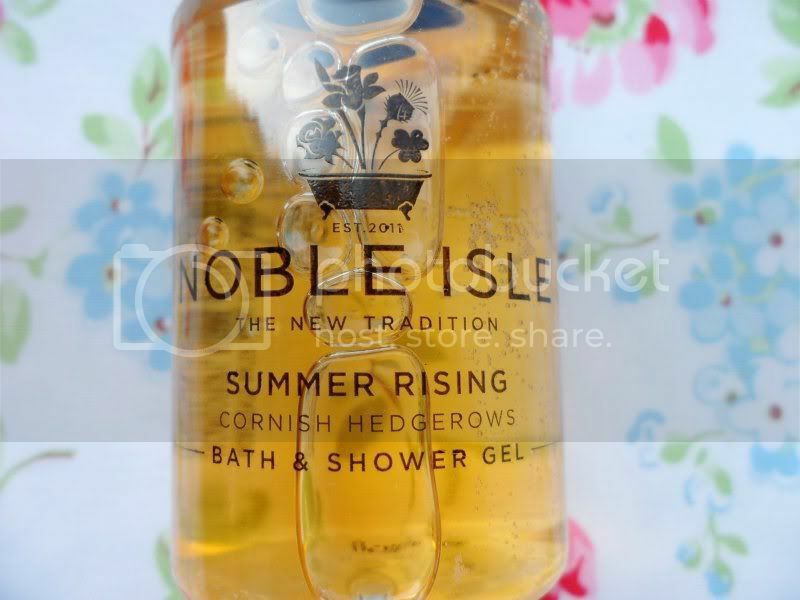 Unlike the shower gel I received in last month's Glossybox, which I found to be not as strongly-fragranced as I'd liked, this one fits the bill for me. 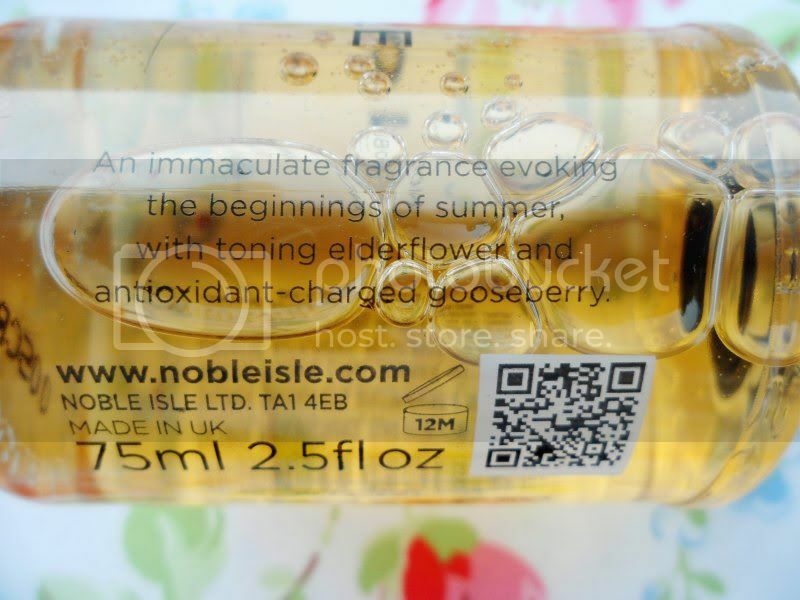 It's fragrance is described as: 'An immaculate fragrance evoking the beginnings of summer, with toning elderflower and antioxidant-charged gooseberry.' I'm pleased to report that this is a true depiction of the scent. 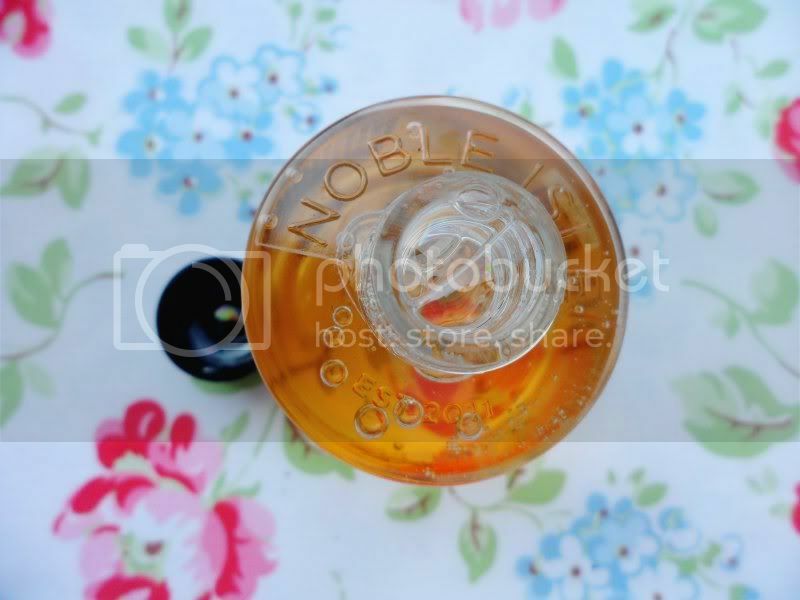 It's also fresh and the colour is rich and luscious. I found it incredibly useful to transport when travelling and the packaging is also something which is simple but chic. Would I have normally bought this product? Probably not, because of the price and I haven't heard of the brand before - it is actually new. But if there were cheaper, smaller sizes, I may consider purchasing it in future because of how much I liked the fragrance.